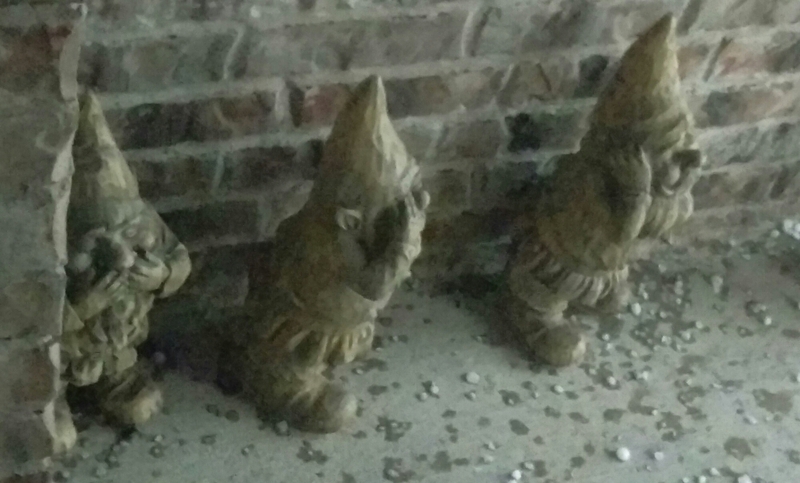 These gnomes didn’t much care for the hailstorm last night, but luckily they were protected by a big ol’ porch and that’s the worst they saw. It was hard to capture the quantity of angry sky balls on the lawn without getting pelted on the head. 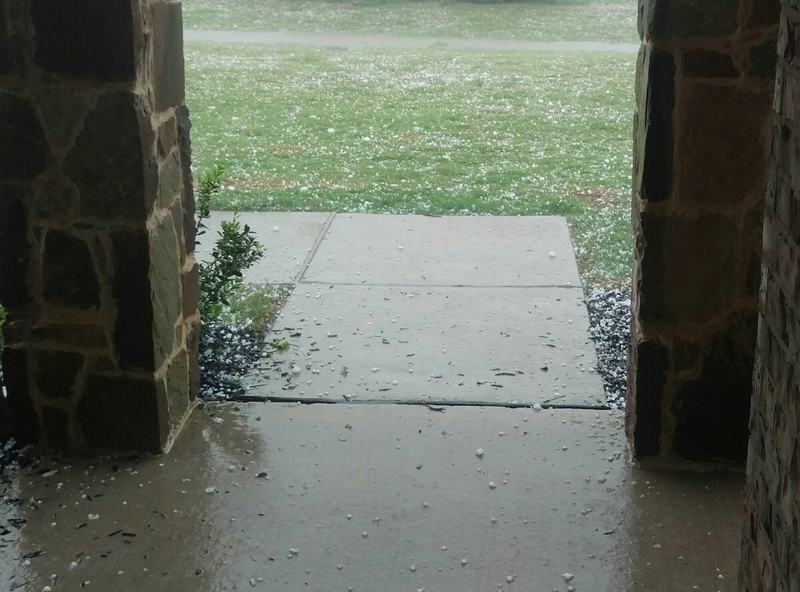 The aforementioned big ol’ porch didn’t stop the hail that was flying sideways. 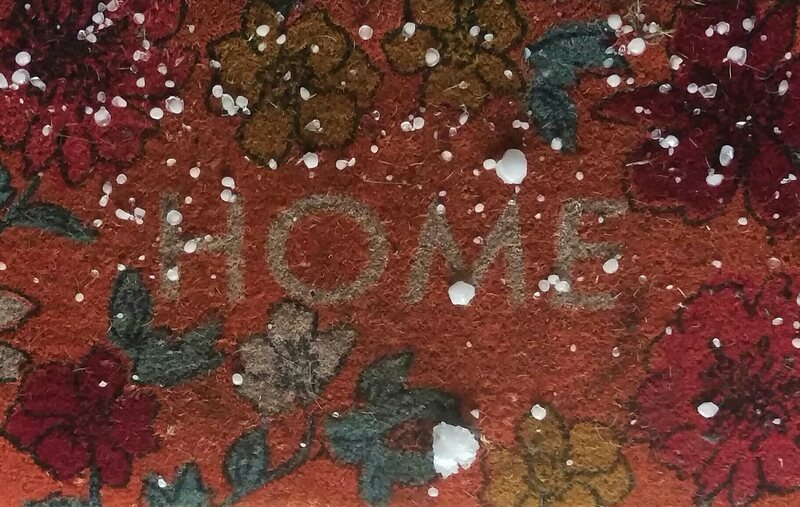 It came in the house, too, as I stood with the door wide open. Spring is always a riot around here. Hailllllllll gnome, y’all. Hail. Gnome.